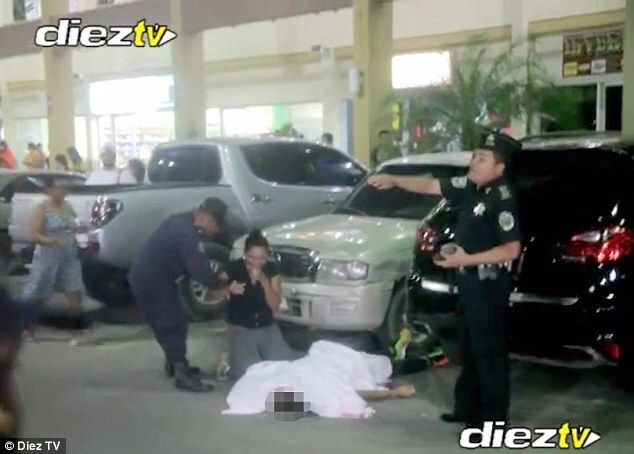 Tragic news out of Honduras where 26 year old national team midfielder and former Glasgow Ranger player Arnold Peralta was shot dead while shopping in his hometown of La Ceiba on the Eastern coast of the crime ridden nation. Peralta was said to have been shopping for in a childrens store for items for his newborn baby when he was gunned down in the parking lot beside his Porche SUV. But the rarely seen in Honduras flashy vehicale doesn't seem to suggest a robbery motive as the car was left in its place and none of Peralta's belongings were taken according to local reports. As many as 18 entry and exit wounds were discovered on the boody of the footballer who's wife fell to her knees as she saw her lifeless partner in a pool of blood on the ground. Perlata had recently spent two season in Scotland with the Rangers winning the Scottish League One title in the process, before coming back home to play for capital city club Olimpia this year. The midfielder managed to collect 26 caps for his national team and although he wasn't eventually called up for his country for the 2014 World Cup squad that travelled to Brazil, he played a big role in Honduras' qualification to the tournament with 7 appearances; one of which we here in Canada remember very well when Honduras knocked Canada out of qualification with an emphatic 8-1 win in which Peralta played the entire match. Last year Arnold Peralta took to Twitter to voice his displeasure at the violence in his home nation, which is considered one of the leading countries in the world in annual murder rates. The tweet translated from Spanish reads: "How difficult it is for our country with so many criminals killing every so often, as though killing was in fashion! These types of people don't deserve to be alive." An arrest hasn't been made as of yet. Our thoughts and prayers go out to Peralta's family and all Honduran football fans.